Damn I feel like stealing, but I'm not gonna do that. So some of the people who can afford to buy a Rolls-Royce can also afford even more expensive toys, like a private jet. Yea!! cuz this Ghost right here is designed to be one. You can own this baby for anywhere between $1 million that is about 360 million naira (really old models) or even $100+ million if you want to custom fit an Airbus or Boeing. Now, Rolls-Royce wants to bring those two worlds closer and provide a similar experience on the road as when you’re flying through the clouds. This is why I want to ... No, I won't say that again. 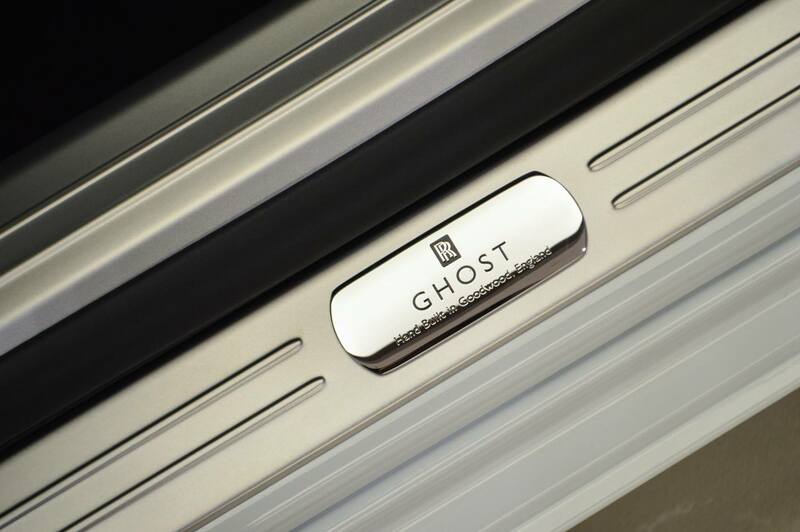 The Rolls-Royce "Ghost" is already exceptional at making you feel as if the car is floating around thanks to its air suspension setup. So if you’ve got that covered, the only thing left to do is work on the car’s aesthetics. 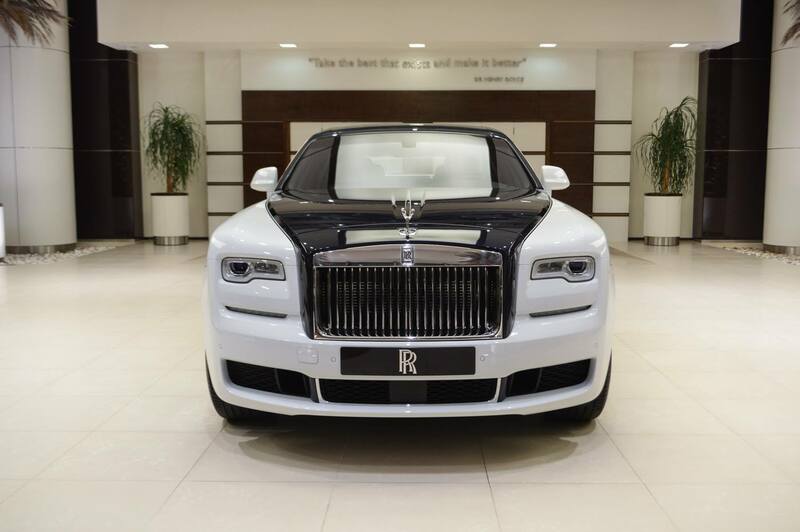 With that in mind, meet the extended wheelbase Rolls-Royce Ghost Inspired by Private Jet, which is on display at the automaker’s Abu Dhabi dealership. It wears a two-tone Arctic White and Midnight Sapphire upper, with a Private Jet Motif coachline and a mainly Arctic White and Fleet Blue Cabin. Completing the look are the two-tone 21-inch 10-spoke part polished forged alloys. 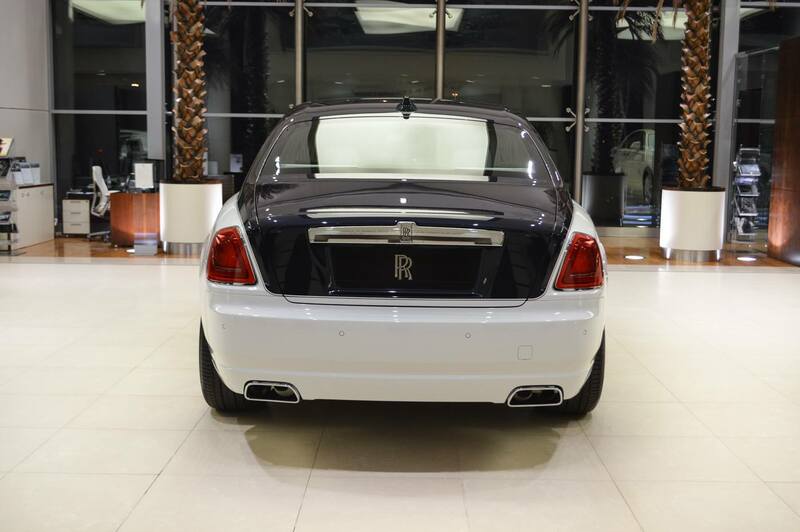 The Rolls-Royce Ghost is powered by a 6.6-liter twin turbo V12 producing 571 PS and 780 Nm (575 lb-ft) of torque. Since this is an extended wheelbase (EWB) model, it needs 5.1 seconds to get from zero to 100 km/h (62 mph), while the regular Ghost which can complete the sprint in 4.9 seconds. But we guess a couple of tenths of a second are insignificant in the rarefied air occupied by the likes of this Rolls special edition.